United Nations sets aside $1.3 billion for the Palestinian Authority's diplomatic assault against Israel. 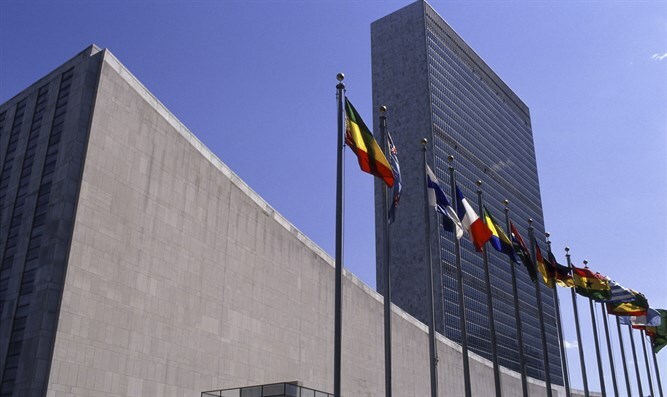 The United Nations has decided to set aside USD 1.3 billion in order to assist the Palestinian Authority (PA) in waging its diplomatic war against Israel, the Israeli NRG website reported. The information was revealed by the mattot.arim watchdog organization. according to Makor Rishon newspaper. According to the report, the funds are part of a wide-ranging program titled "United Nations Development Assistance Framework State of Palestine" which will move forward initiatives supporting "Palestine’s path to independence". According to a document detailing the program, the initiative will provide "training, capacity-building and technical advice” in order to assist the “Palestinian victims" to exploit the necessary “international accountability mechanisms” and prosecute "Israeli violations of international law". The document writes that the priorities of the initiative are "ending the occupation, achieving independence, mobilizing national and international support, broadening Palestine’s international participation, expanding Palestine’s bilateral relations and holding Israel to account". The term "holding Israel to account" is especially prejudicial. UN Watch executive director Hillel Neuer blasted the United Nations for focusing solely on Israel, saying in a statement that "there is no other example or precedent of the UN funding, training, and advising one side of a conflict to pursue legal advocacy against another side within UN bodies and other international mechanisms".